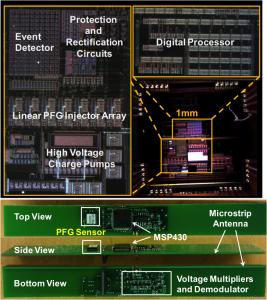 Piezonix’s sensor-to-circuit integrated system can collect, compute and store historical statistics of a structure’s strain-rate and levels at operational power limits not possible with any competing heath monitoring sensor technology. 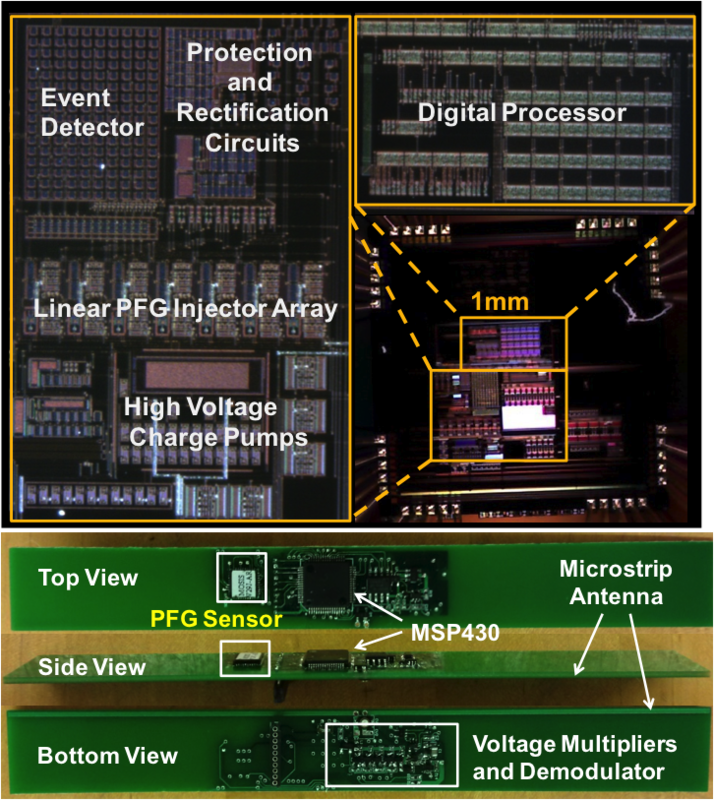 By operating on picowatts to nanowatts of power, Piezonix’s self-powered sensors can function continuously by scavenging energy from, for example, a miniature piezoelectric transducer. Two issued patents US 7,757,565 and US 8,056,420 and one pending patent application no: 61/602,247 protect the technology. Eliminate power regulators, energy storage, data converters, RAMs and digital signal processors. Use the physics of the device and the structure to perform computation and storage. 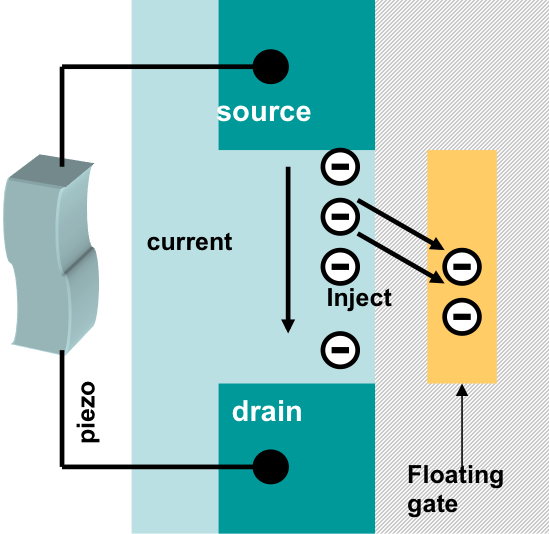 •Piezoelectric ceramics and polymers can generate high-voltages for low strain-levels but at ultra-low-driving currents. 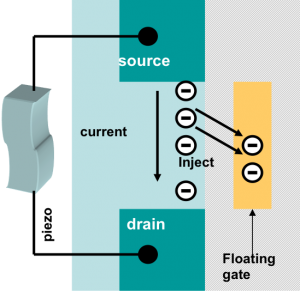 •Hot-electron injection in sub-threshold floating-gate memories require high-voltages but can operate at ultra-low-currents. Lowers the cost of inspection and maintenance.